Collection of 'Creative and Innovative Phone Tripods' from all over the world. 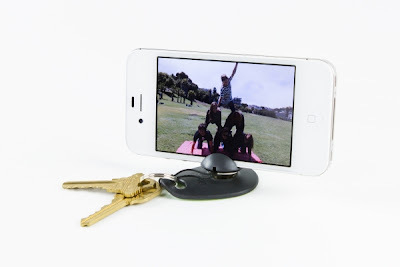 Tiltpod Mobile: The Tiltpod Mobile is a keychain tripod with a magnet ball that allows you to pivot the angle of your phone to just about anywhere. 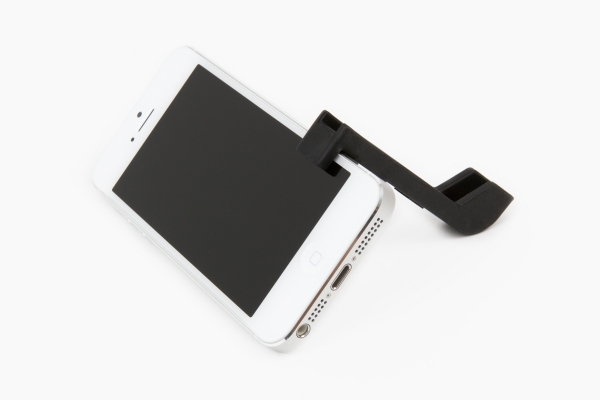 The Glif: It's a minimalist iPhone stand & tripod mount for your iPhone 4 or 5. 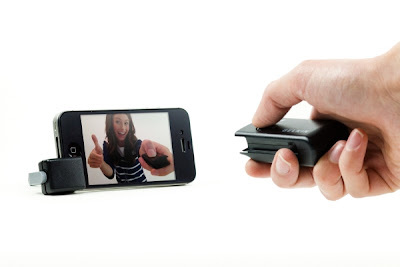 The iPhone Shutter Remote: It works with your iPhone via Bluetooth; place your phone on the tripod and take photos or video from up to 30 feet away. 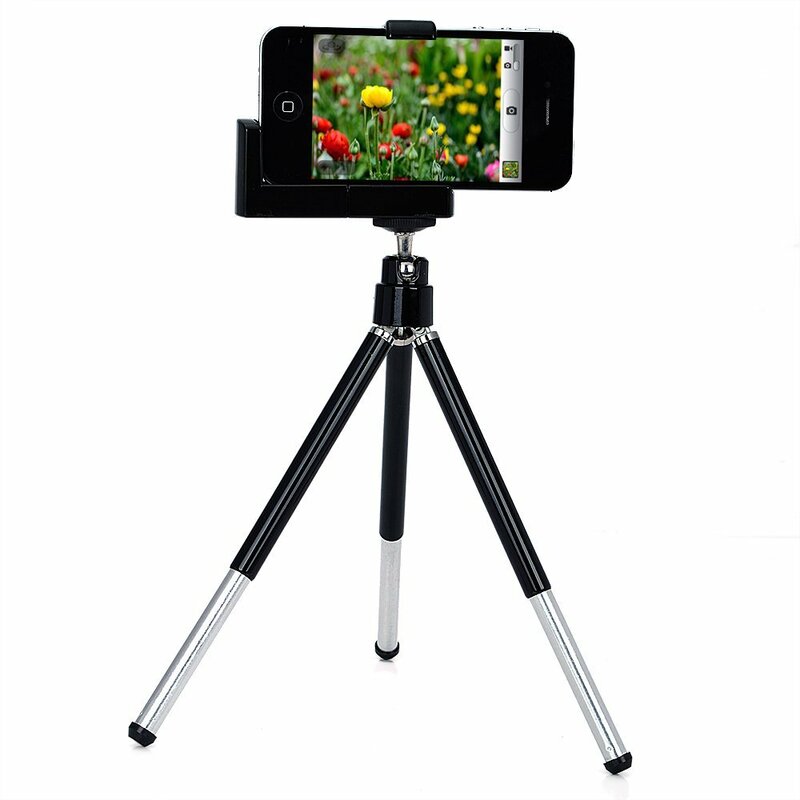 Mini Tripod Stand and Holder: This mini retractable tripod comes with an adjustable ball head that allows you to adjust the tripod and smartphone for the perfect angle every time. 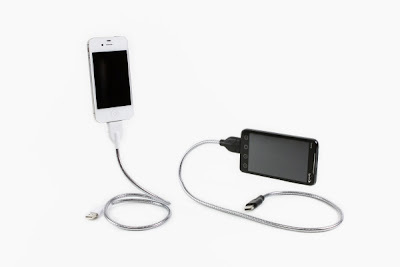 Une Bobine: It's a recharging cable and flexible tripod for iPhones and android devices. The Bikepod: It's a tripod that has to be fixed on your bike's handlebars; suitable for M43 cameras, DSLR's with small lenses and camera phones. 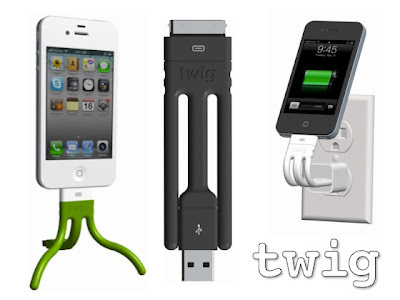 Twig: It's a power cord, stand and a tripod all in one for your iPhone. 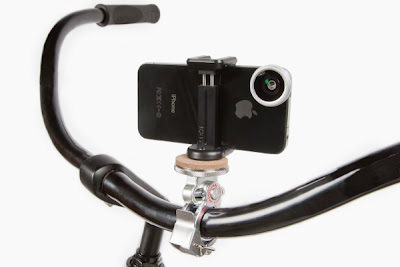 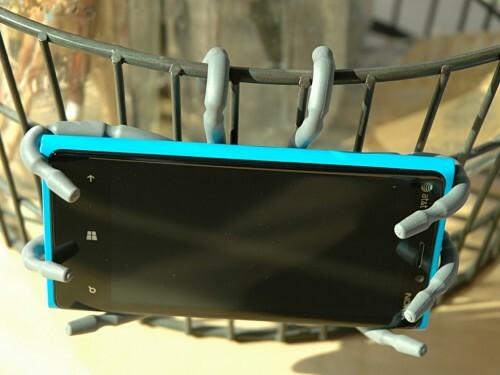 Breffo Spiderpodium: It holds your smartphone in a variety of ways. 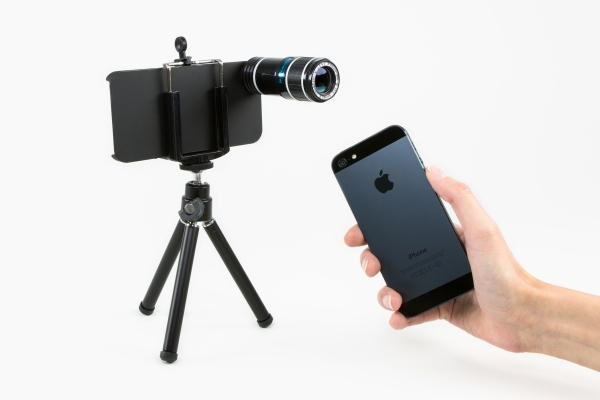 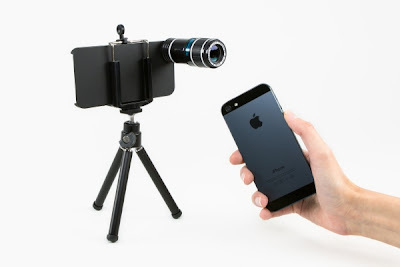 The iPhone Telephoto Lens with Mini Tripod: The lens set contains a zoom iPhone lens attachment for 8x zoom (iPhone 4/4S) or 12x (iPhone 5); apart from this it comes with case, mini tripod and cleaning cloth. 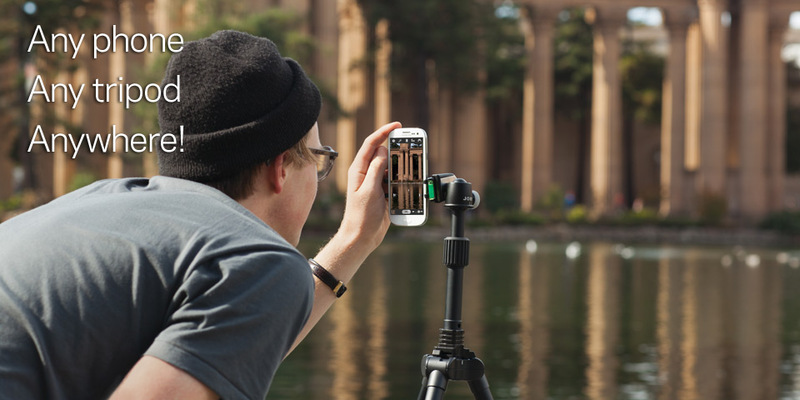 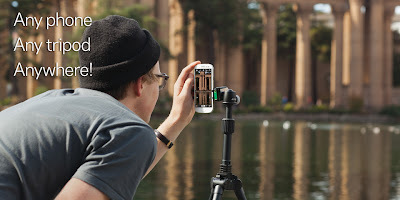 Griptight: It works with any tripod and any phone.